Spring is in the air and along with the Daffodils, demonstrations proliferated across the country today. Birmingham saw thousands march in support of Justice for the 21 and against terrorism, whilst in London an event that seemed to pass under the radar was also treated to a peaceful protest from Veterans and Patriots. 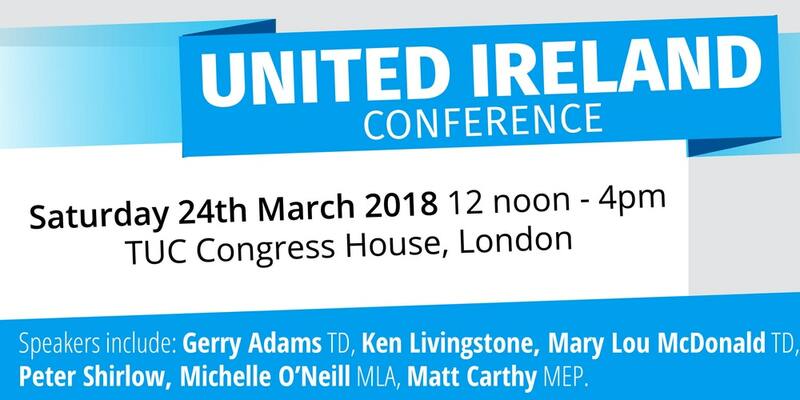 A conference named ‘Towards a United Ireland’ was held from 12pm at the TUC Headquarters on Great Russell Street where the keynote speaker was former Sinn Fein leader and alleged IRA commander, Gerry Adams, with support speakers including current SF leader Michelle O’Neill. 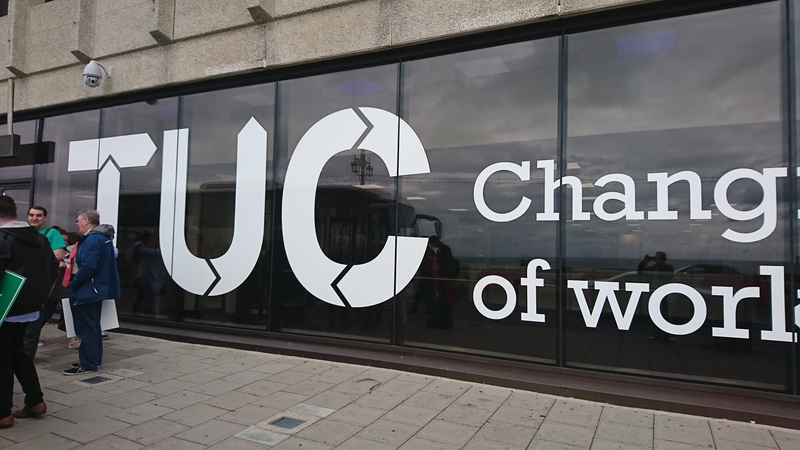 What the TUC are doing hosting a meeting discussing sovereignty of a part of the UK baffles me as their remit is to be an umbrella group for trade unions, whose job is to support their member’s rights in the workplace, not interfering in politics. Adams is also a highly controversial figure given his past associations and as a result, a number of veterans decided to peacefully protest the event, supported by patriots from a number of groups. 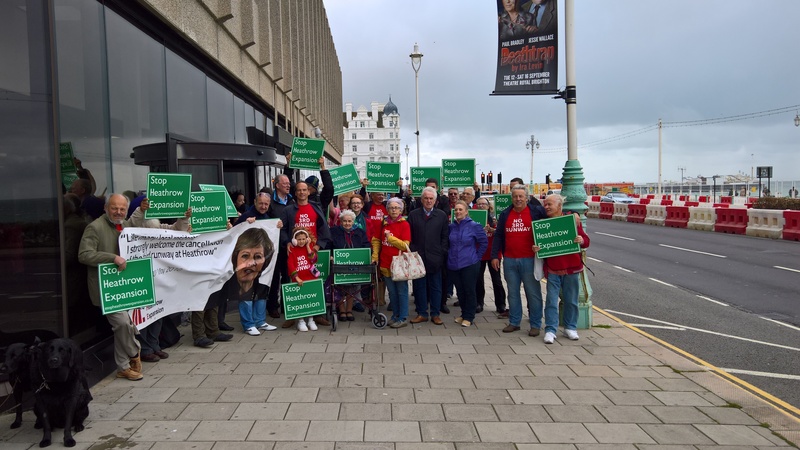 I arrived at just after 12pm when the attendees had already entered the building – a large presence was outside handing out leaflets about injustice towards our Armed Forces veterans in the province, many of whom are now seeing cases that were investigated and closed in the 1970’s re-opened whilst IRA members who killed innocent civilians were pardoned under The Good Friday Agreement. 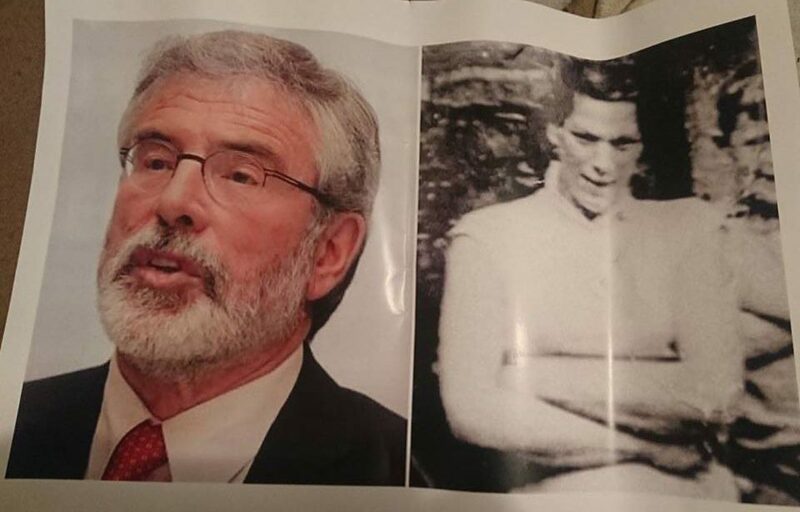 Prominent were posters with Adams’ image alongside that of Jean McConville, a mother of 10 who was executed by the IRA for being ‘an informer’ – it is alleged that Adams authorised the killing and some of the veterans who were there who had flown in from Northern Ireland told me it was in reality because she had helped a wounded British soldier. 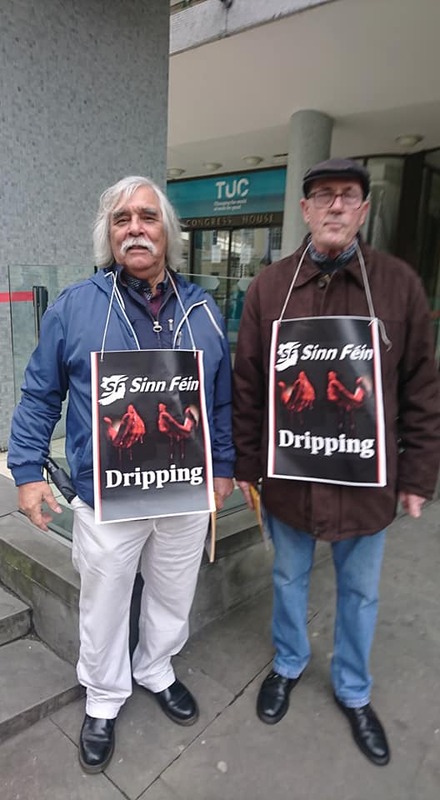 Other posters showed bloodied hands and placards had names of civilians, Police Officers and military who had been killed by the IRA with times and dates on them. The gathering obviously had an effect on the speakers as Adams was smuggled in around the back rather than having to walk through the assembled peaceful demonstration at the front – a victory of sorts for those who came from across the UK to make their point. 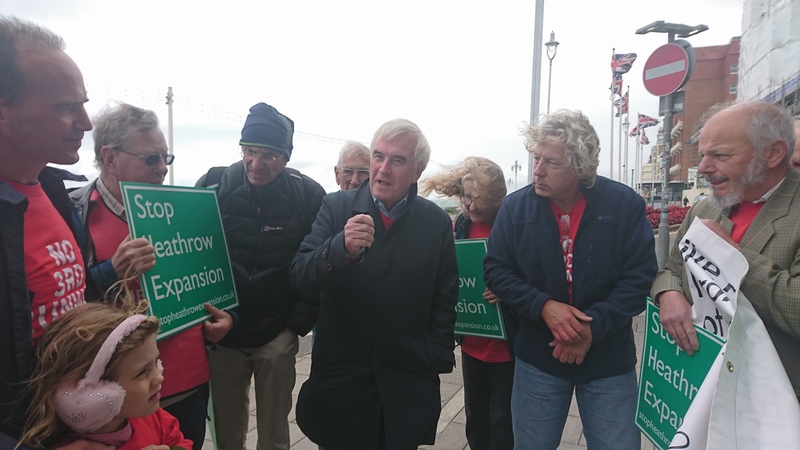 By 12.30 it was obvious that no more people were coming through, so the protesters retired to various pubs and restaurants for lunch, agreeing to meet back at 4pm to catch the attendees on the way out. None of the speakers were in evidence when we got back, but a number of conversations were had with people exiting the conference and putting across our point of view. The Police presence was quite heavy and I was informed by one of the officers that there had been an issue around 15 minutes before our arrival but I have no further information on that. 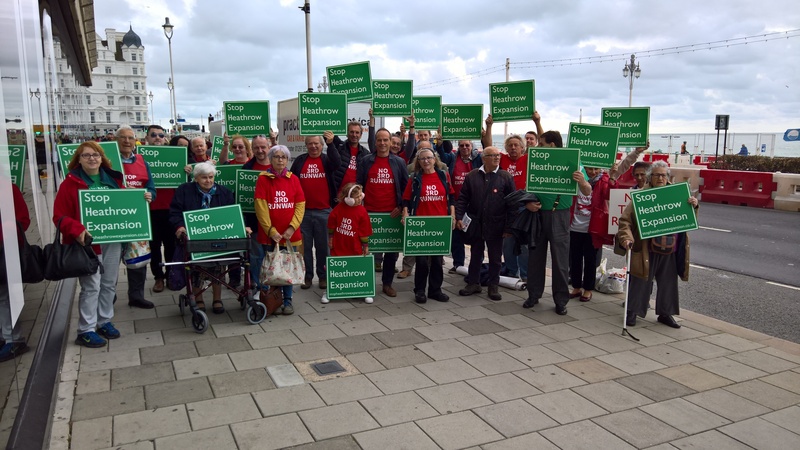 One thing that did strike me was the reaction of one of the event organisers towards us as she was putting equipment in the back of the sound van – “We love you lot”, she said with a sneer. It is a pity she doesn’t love the family of Jean McConville as much, an innocent woman executed by a bullet to the back of the head whose body was missing and therefore unable to be laid to rest for over 20 years by her grieving relatives.